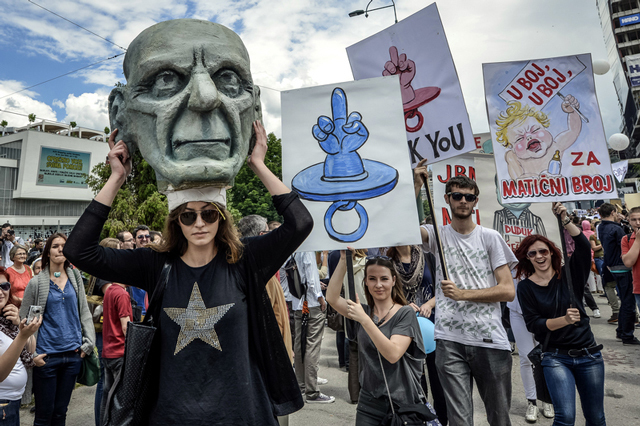 On June 11, 2013, an estimated 10,000 demonstrators filled the streets of Sarajevo and other cities throughout Bosnia protesting the Bosnian government's refusal to issue ID numbers to newborns. This hinders the new generation from obtaining any documentation, including passports and those necessary for healthcare. Since then, demonstrations have continued, with protesters forming a human chain around parliament and being met with disapproval by officials.